Last night I tried the new Seasonal Sam Adams. I think Sam Adams does a great job brewing! If you can’t find a microbrew, Sam Adams is a great choice! Most restaurants carry their basic brew, even the ones that mostly serve “generic beer”. Anyway, the new Seasonal is called Noble Pilsner and is only out for a couple of months. I guess it is the seasonal brew between their winter lager and spring beer. Although I am a big fan of Sam Adams in general, I wasn’t a big fan of the Noble Pilsner! Sorry Sam Adams! It wasn’t horrible, I just wouldn’t order it again. They market it as a citrusy hop aroma. I actually thought it tasted a little soapy! Oops…that is bad, but just being honest! I spotted a couple of new “Beer Princesses” in the bar too! I was so excited to meet other gals who share my love of good beer! Anyway, my new friend Lauren tried the Pils and wasn’t crazy about it either. It was worth a try! IPA’s are my favorite variety. I was at my favorite beer place a couple of days ago… World of Beer! 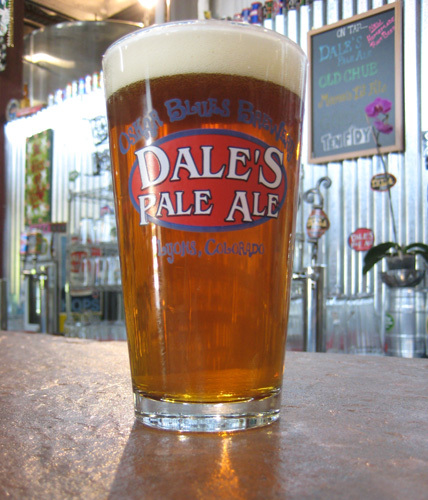 I tried a great IPA while there…Oskar Blues Dale’s Pale Ale from Colorado. It started off very hoppy with a crisp middle and a hop finish. Good stuff! I also was excited to buy one of WOB’s beer cards. Basically you pay $15 and each time you try a new beer they add it to the card. After you get to so many beers you can win stuff. After 500 you get a party for you and your friends! 500! If I ever got to that point it would be pretty scary. However, this will force me to try different beers each time I go in! Twist my arm….! You are currently browsing the BeerPrincess blog archives for February, 2010. No computers were harmed in the 0.359 seconds it took to produce this page.